Lovely flower arrangement presented in a vase. 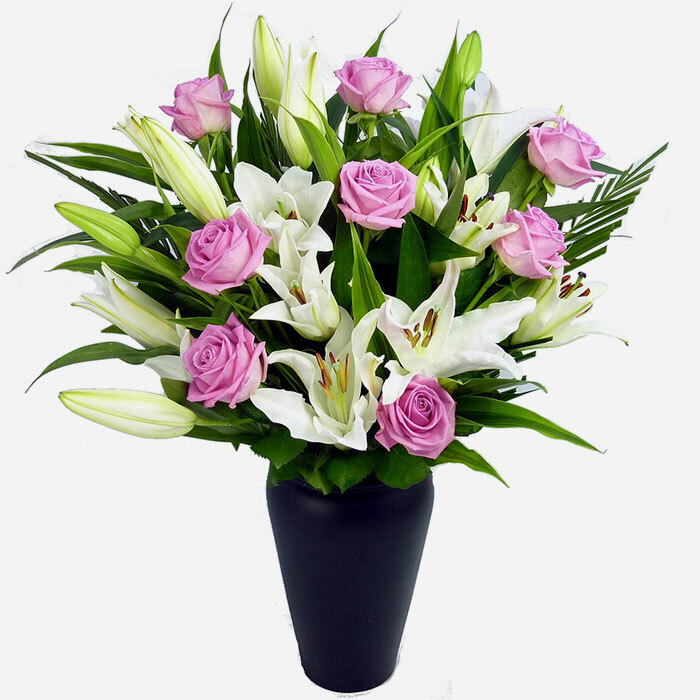 To included pink roses and white lillies with lush foliage. 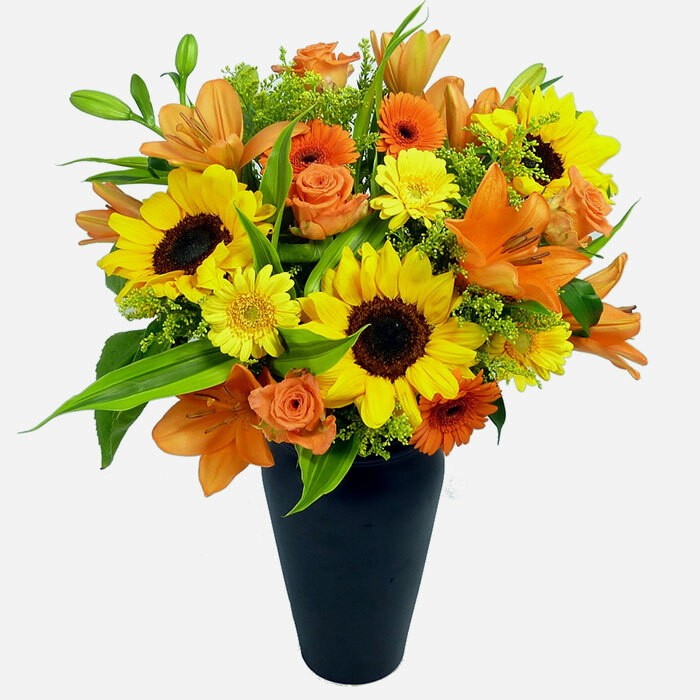 A vibrant handtied guaranteed to brighten up someones day. 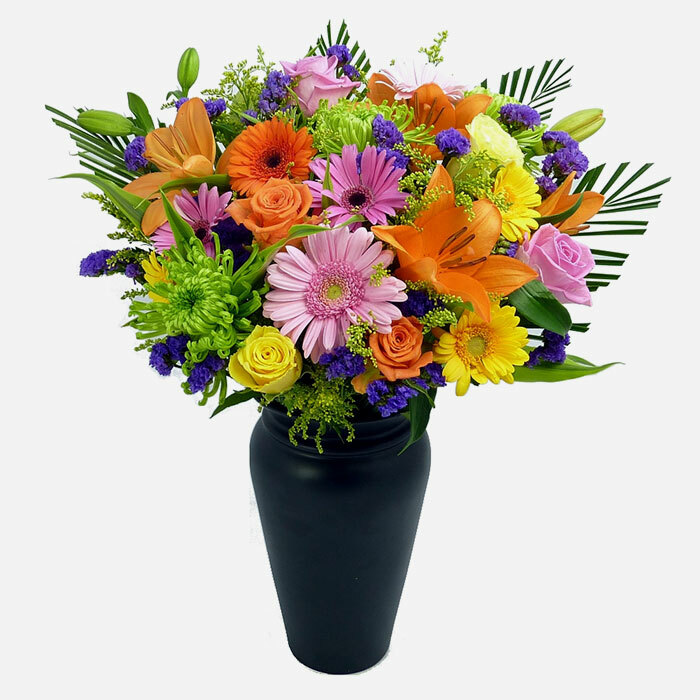 To include a mix of flowers in orange, purple, pink and yellow. Bright handtied arrangement presented in a glass vase. To include yellow, orange and green. Gorgeous flower arrangement presented in a trug basket. To include a mix of pastel shades such as lilac, orange, green and white. A stunning hand-tied in a mix of pinks, purple whites and greens. 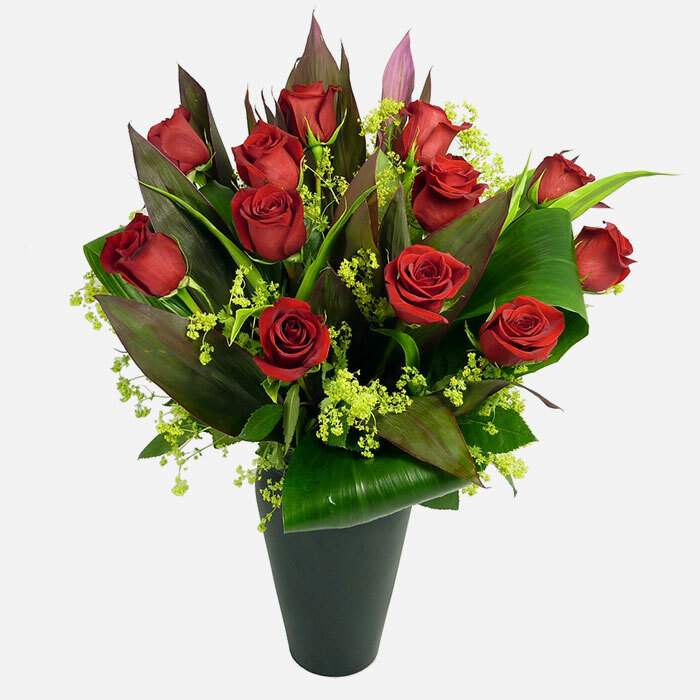 A stunning hantied of red roses and lush foliage. A beautiful arrangement in a container. 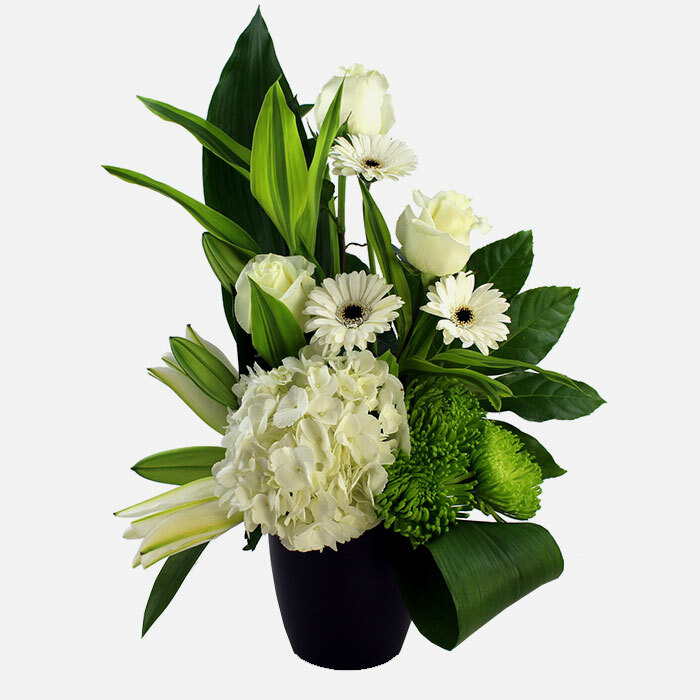 To include a mix of flowers in white and green. 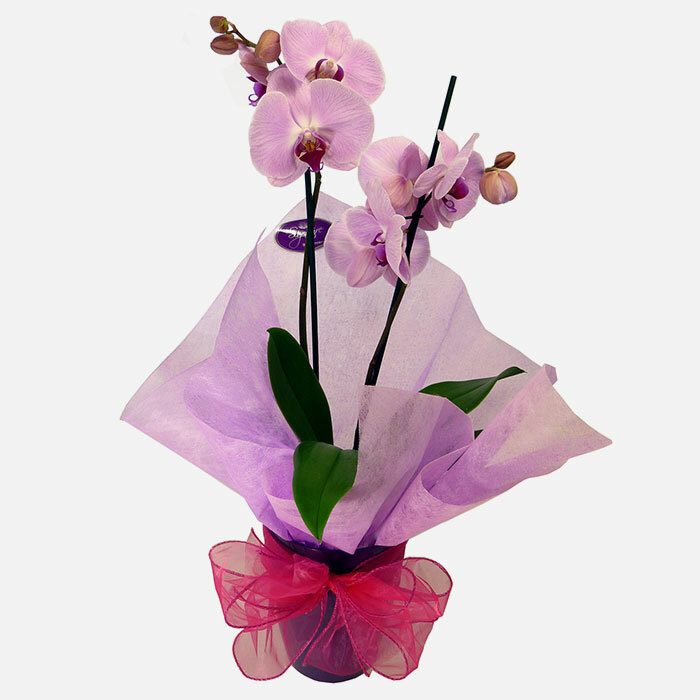 A lovely orchid plant perfect for any occasion. Pink and white colours available. Welcome to Signature by Robinsons. 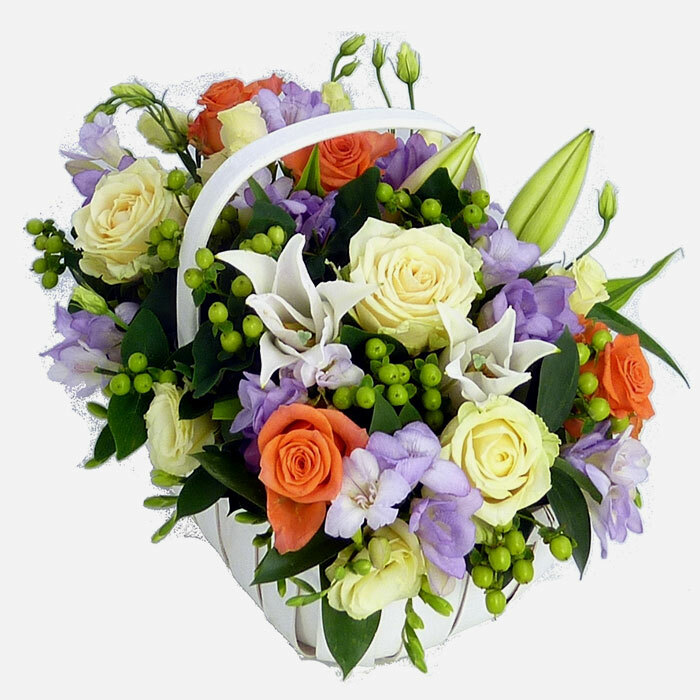 Order flowers online today and experience the Isle of Man’s top selection, quality and customer service among Manx florists. As the leading Isle of Man flower delivery service, we source only the freshest flowers direct from our growers and flower auctions. By cutting out all the wholesalers and middlemen that add time and money to your flowers, our team are dedicated to ensuring that we source only the finest quality and freshest seasonal flowers so that they remain fresh for a minimum of 7 days. 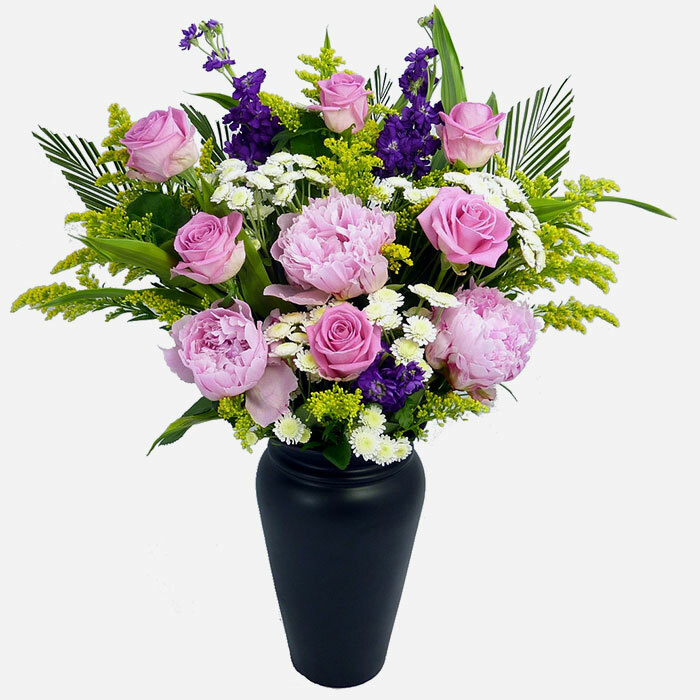 Our florists then create and hand-tie the stunning arrangements which are beautifully packaged to maximise the impact of your thoughtful, luxury gift on delivery.Buy flowers online from Signature by Robinsons for delivery throughout the Isle of Man. Amazing selection, award winning quality, and our freshness guarantee. Whether you're looking for Douglas flower delivery services, or you want to send Castletown flowers, we service every town, from Ramsey to Port Erin.We have flowers for every occasion: birthday flowers, get well flowers, anniversary flowers, sympathy flowers, New Baby gifts and even Just Because flowers and Flowers for Business. At Signature by Robinsons, holidays are a special time. Be it something for Christmas, a Romantic Gift at Valentine’s or something for your special Mum on Mothering Sunday, we’ve designed bouquets and gifts for every occasion.